Grassroots Activism in the Zeitgeist Movement | Indestructible Ideas! Societal change can occur in many ways, whether through ballot initiatives, political campaigns, or through grassroots activism. I believe the latter has the ability to evoke the healthiest change within our society because in many cases it stimulates “out of the box thinking” and emerges beyond the current power structure. Buckminster Fuller famously said, “You never change things by fighting the existing reality. To change something; build a new model that makes the existing model obsolete” (Critical Path, 1981). A grassroots organization called The Zeitgeist Movement (TZM) best fits this notion. Zeitgeist is defined as the “intellectual, moral, and cultural climate of an era” (Orientation guide, 2013, pg.3). 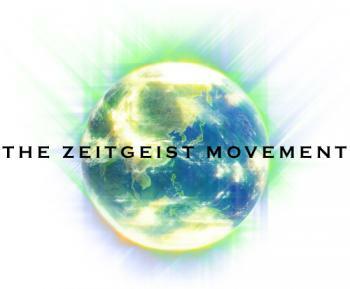 Consequently, the Zeitgeist Movement (TZM) is an organization that advocates change away from the current intellectual, moral, and cultural climate (Orientation guide, 2013, pg.3). Founded in 2008, it is a non-violent global sustainability advocacy group with 1000 Regional Chapters in 70 countries (Mission Statement, n.d.). It is not a political or religious movement but a social one. TZM does not have any loyalty to any specific culture, race, or country (Mission Statement, n.d.). Rather, the whole world is seen as a single system and realizes that nations must put down their weapons and work together to help everyone on the planet (Mission Statement, n.d.). The entire human population could be extinct along with many environmental systems if nuclear warfare breaks out. In 2011 alone, the amount of Nuclear Weapons totaled 23,000 (McCluskey, 2011). TZM understands that the prevalent social problems in existence today have not exclusively risen from human nature, established corruption, a lack of abundance, or politics (Mission Statement, n.d.). Instead, social problems such as homelessness, war, starvation, corruption, poverty, and economic collapse are symptoms brought out by the root cause – an archaic social structure (Mission Statement, n.d.). TZM’s core objective is to create a social system that is humane and sustainable (Faq, n.d). In order to arrive at such a system, conventional methods of politics and nationalist establishments will not be utilized as the main solution; because many of the problems today have arisen from these same institutions – which in many cases – are inherently flawed (Faq, n.d). The prevailing corporate influences on political decisions make it more difficult for the average person to have a political voice (Godoy, 2012). Moreover, corporations also control most of the media Americans hear and see. Ninety percent (90%) of all media in America is controlled by only 6 corporations (Lutz, 2012). It is supposed that with the informative and activist pressure produced by this movement – joined with the presently deteriorating social system – these old-paradigm establishments will be superseded and hindered (Faq, n.d). When achieved, a transition would ensue from our current monetary system into an economic model based on a “scientific train of thought,” a Resource Based Economic Model, or RBE (Faq, n.d). Briefly, an RBE is centered on Resource Management and Natural Law which is then applied to social concern (Faq, n.d). Using the Scientific Method to analyze societal difficulties and to arrive at effective solutions would be employed to create technically responsible Resource Management, Allocation, and Distribution to meet human needs (Mission Statement, n.d.). It is the constant and long term goal to transition into a RBE social system, while not diminishing short term goals such as reforms and community support (Mission Statement, n.d.). Short term solutions like food drives are beneficial to the poor and destitute but cannot be deemed a long term solution (Mission Statement, n.d.). However, these valuable projects support many in need and must be employed currently, while appealing to the long term solution (Mission Statement, n.d.). Governmental and monetary reforms can be used as instruments that assist in transitioning to an RBE (Mission Statement, n.d.). Reform techniques coupled with community support, are needed to accomplish such goals (Mission Statement, n.d.). Wow, very comprehensive! I admire and applaud your dedication. Don’t forget, Susan and I were the ones who first turned you on to TMZ!